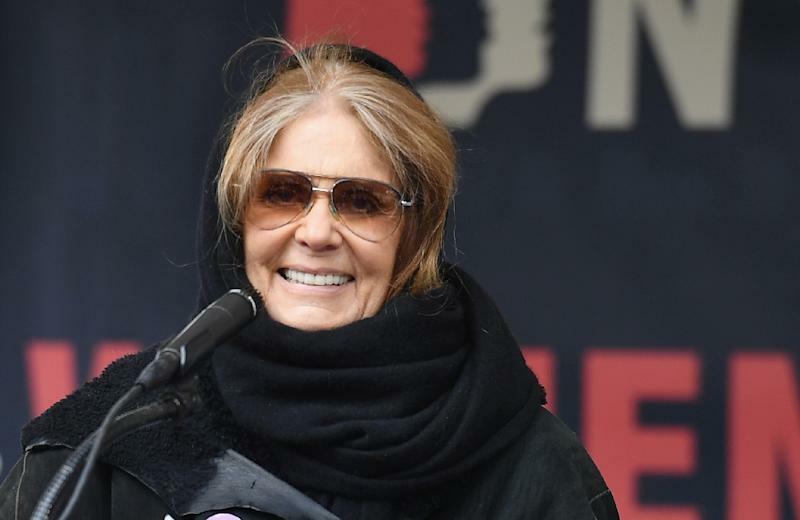 Paris (AFP) - Feminist icon Gloria Steinem would not be so meek "or worried about approval" if she had her life again. The veteran campaigner, one of the leaders of the American women's movement in the 1970s and 1980s, told AFP that she regretted being too "hesitant" about doing what she knew was right. "I would have done lots of things differently," said the soft-spoken journalist and campaigner who was in Paris Tuesday to promote her memoirs, "My Life on the Road". "I would have done things faster. I would have been less hesitant. I knew what I wanted to do but I was a little worried about approval, especially when there was no (women's) movement in my life," she added. "Not to be outrageous just to break a stereotype -- because that is also dictating our behaviour -- but to do our best to be authentic and to be who we are and use our talents and refuse to be turned back," she added. "We are communal animals, we cannot do this by ourselves. It is difficult because any less-powerful or discriminated-against group feels that they can only get power by identifying with the people up there -- not by identifying with each other. "I was 'the girl writer'," she recalled wryly. "When I first covered an abortion hearing -- which was a great revelation to me because I was suddenly seeing women talking about something that only happened to women and taking it seriously -- my male colleagues took me aside one by one and said, 'Oh, Gloria, do not get involved with these crazy women. You have worked so hard to be taken seriously.'" "We are not alone anymore," she told reporters. "It's true that we are fighting a very, very entrenched establishment. We're very economically unequal, we still are fighting the battle to control our own physical selves because that's the definition of patriarchy, to control reproduction, and we happen to have a womb. She dedicated "My Life on the Road" to a British doctor, John Sharpe, who helped her obtain an illegal abortion London in 1957 when she was 22, "knowing only that she had broken an engagement at home to seek an unknown fate". His only conditions were that she should tell no one and that Steinem promise to "do what you want to do with your life". In the book she credits her father, a travelling salesman, for giving her both itchy feet and a sense of equality -- despite the fact that he deserted the family, leaving his daughter to deal with debt collectors at the door. She wrote that "he loved and honoured me as a unique person. And that let me know that he and I -- men and women -- are not opposites at all".